The Canadian government had removed eight references to Sikh extremism and six references to Khalistan from its terror report. Chandigarh: The Canadian government’s decision to remove all references to Khalistani extremism in its 2018 report on terrorist threats to the country has evoked a sharp response from Punjab Chief Minister Captain Amarinder Singh. 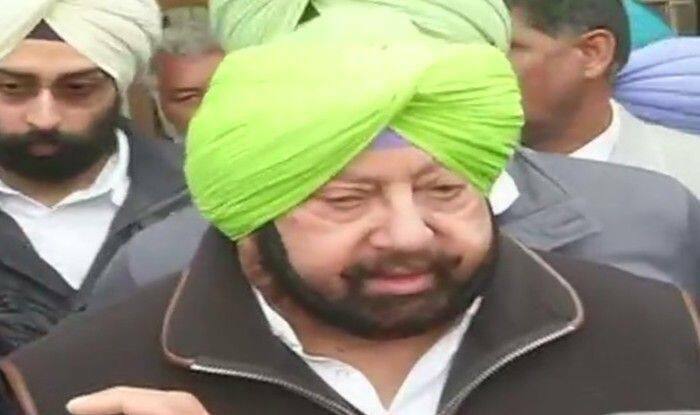 Reacting to ruling Canadian Liberal Party’s decision, Amarinder said it was aimed at protecting political interests in a poll year on the pretext of pressure groups in the Sikh community. He warned that the decision could have serious consequences for Indo-Canadian relations, in the long run. The Canadian government had removed eight references to Sikh extremism and six references to Khalistan from its terror report. The update to the “2018 Public Report on the Terrorism Threat to Canada” was published by Public Safety Canada on Friday. Last year, during Canadian PM Justin Trudeau’s visit to Amritsar, Amarinder had handed over a list of nine ‘A’ category Canada-based terror operatives of Indian origin, including members of Khalistan Tiger Force, International Sikh Youth Federation and Babbar Khalsa International. But, the Canadian government has failed to take any action against any of those persons, except in a couple of cases, said reports. “Trudeau is playing with fire with his decision to assuage inflamed domestic passions through this ill-considered move,” Amarinder said on Sunday. He pointed out that it was a fact that Trudeau’s party was teeming with activists and separatists. Meanwhile, officials from both countries in the know said the update was propelled by domestic political compulsions in Canada, especially efforts by political parties to woo the influential Indian and Sikh communities. While declining to be named, the officials told a leading daily that though counter-terror and security cooperation at the level of officials was robust, there was a gap as far as the higher level of Canada’s political leadership was concerned. The reason they said was because of the presence of several Indian-origin ministers in Canada. “This is why we are seeing this dichotomy, of having cooperation at the level of officials that is not seen at the higher levels,” an Indian official was quoted as saying.